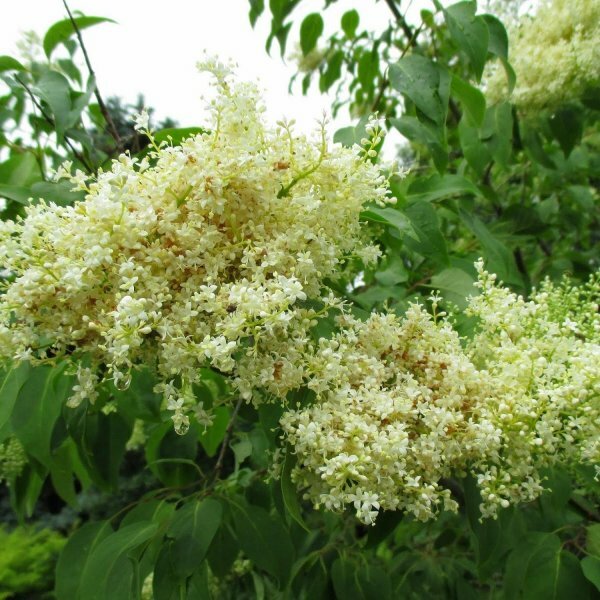 Showy cloud-like clusters of fragrant ivory blossoms cover this hardy and highly variable Chinese native long after most other lilacs have bloomed. 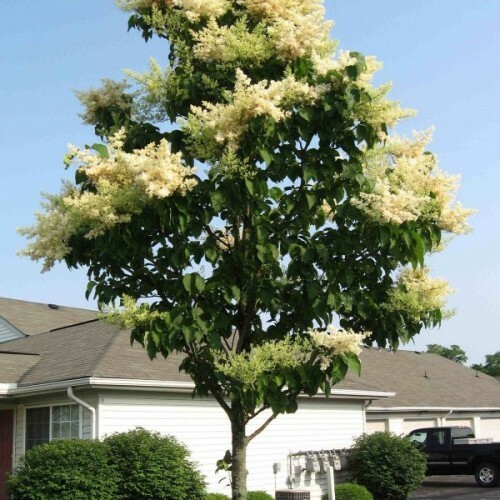 Whether grown as a rounded multi-stemmed large shrub or as a single-trunked small tree, it offers ornamental interest at all seasons, thanks to its glossy peeling golden-brown bark. 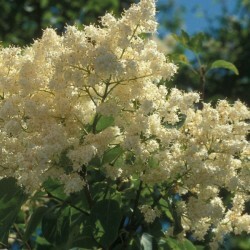 The large paired clusters of tiny creamy-white flowers develop at the branch tips in late spring or early summer. They are privet-scented: sweet but with an undertone of cut grass or leaf clippings. 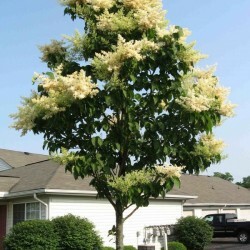 The narrowly oval, dark green, deciduous leaves usually do not color in fall. Germination Seed will benefit from a short cold moist stratification (30-60 days) to increase speed, uniformity and % of germination. Germination will improve with alternating temperatures of approx. 8 hours @ 86 deg. F and 16 hours @ 68 deg. Many growers use a fungicide durring stratification. Other sterilization methods you can use include a 12 hour hydrogen-peroxide soak; surface sterilization with a 1:10 bleach:water mix, soaking the seed for 8 minutes then thoroughly washing off the bleach with warm water; a short diluted iodine soak. 3. Germination: sow seed 1/4 deep, keep moist, mulch the seed bed, cover seedbed with some shade, can be sown outdoors in the fall for spring germination. Stratified syringa seeds normally germinates in 14-60 days. Normally will only germinate with light, GA-3 may promote germination - even in the dark.